If you are updating your home, one room that is sure to give away your fixer-upper status is the bathroom. Bedrooms, hallways, and even closets are easy to give a quick updated look. Similar to the kitchen, the bathroom requires a bit more work. Which typically means a bit more money. This is when I turn to DIY projects! 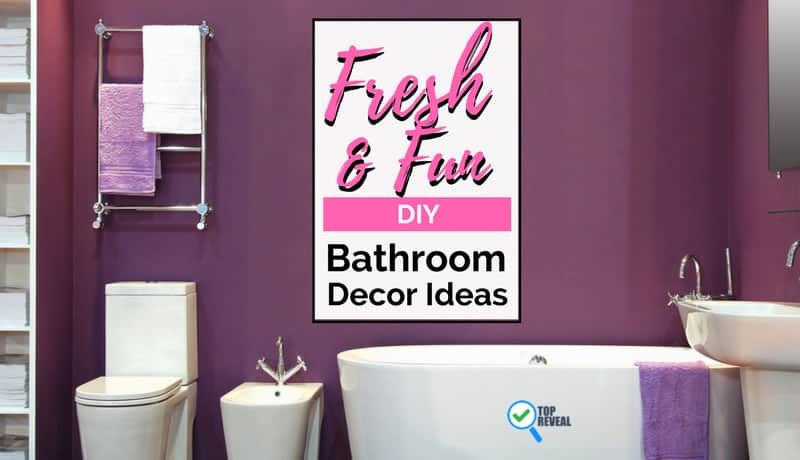 A simple, DIY Bathroom Decor Ideas search can lead you to some of the most creative ideas. We are starting big and going small. I love this ladder because it does two things. First, it creates some beautiful floor to ceiling storage. Second, it is such a statement piece! Especially difficult to do in a bathroom! 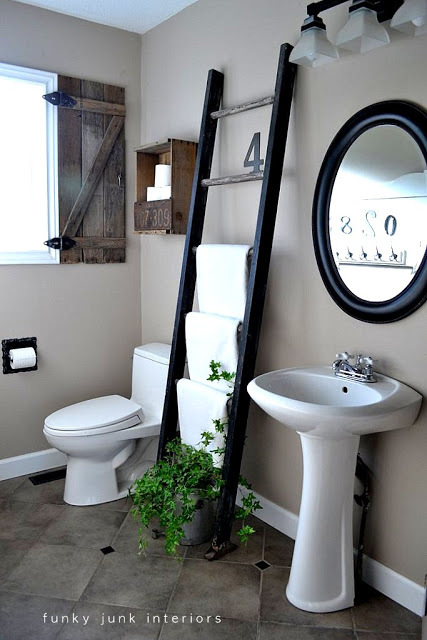 If you like the idea but you are working with limited space, try the same ladder concept but over a toilet. Great statement piece while utilizing all the space available! Leave your phone here so it doesn’t drop in the toilet! Add a candle, some potpourri, or small plant. It is a quick and easy way to add some beauty to what is traditionally an eyesore. Lose the shelf and go for just plain pretty toilet paper! 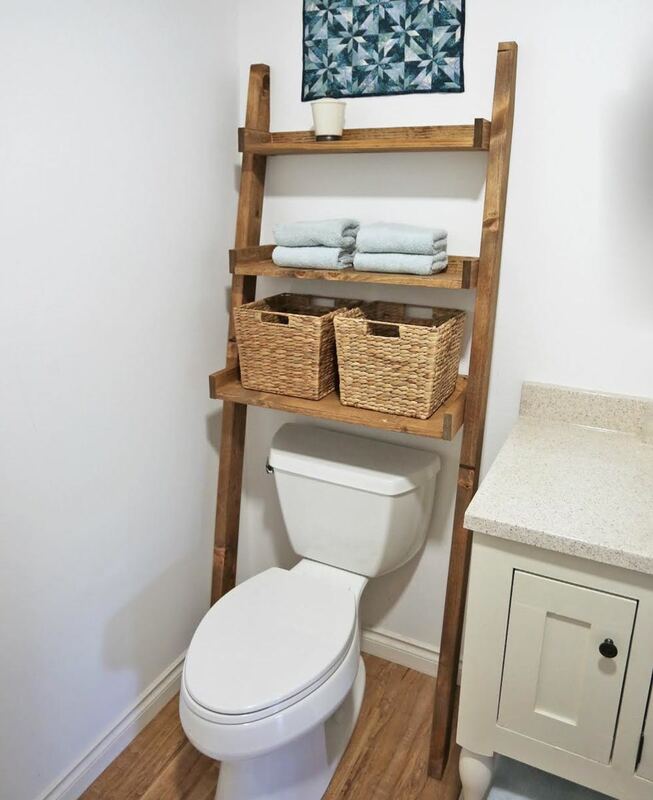 Again, toilet paper display options often bring the value of a bathroom down, so don’t neglect this space! 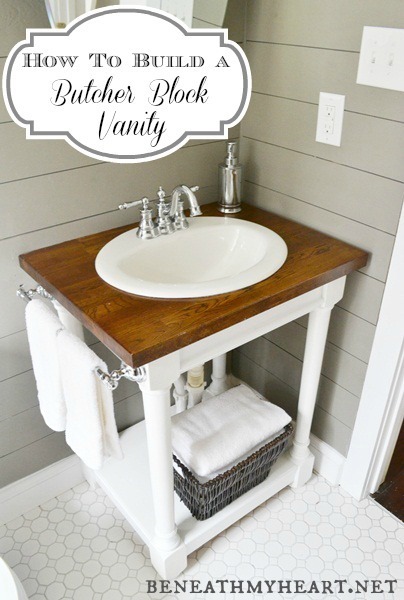 If your bathroom has a rustic feel to it, this will keep with that shabby chic theme. Plus, with some wall stickers, you can avoid putting nails in the wall! Win-Win! Keeping with that rustic theme, make sure all your product fall in line! This is a cute way to utilize those mason jars we love so much as well as making sure your family and guests are always equipped with a clean tissue! 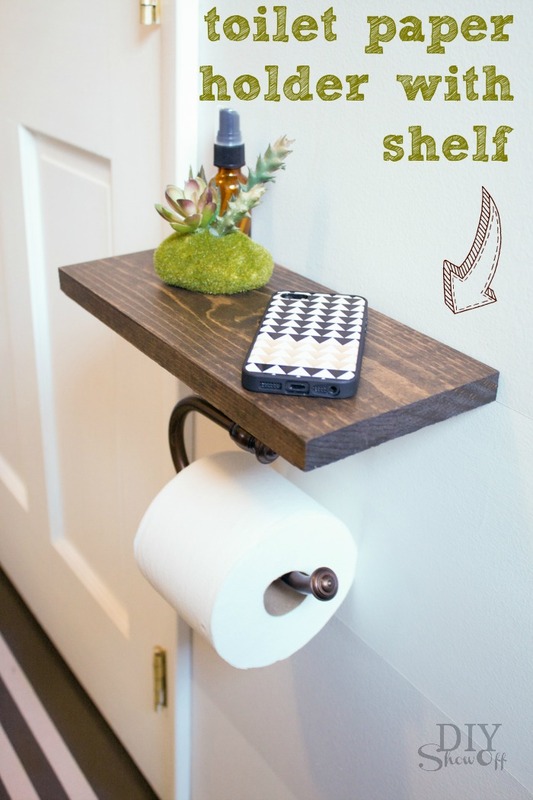 I love this DIY because this is the only blogger I saw utilizing this idea! I have white tile and the last thing I want to do is make my bathroom a huge project by removing all the tile. With just a bit of creativity, you can update the space! I was shook at how easy it is! Want to replace the tile AND the sink? We got you covered. This DIY’er shows you how to bring life back to your sink by painting over it! No tile, but you have a plain mirror. Add some wood with your favorite stain. I first saw this and thought, ‘no way’. Turns out it is not as difficult as you would think! 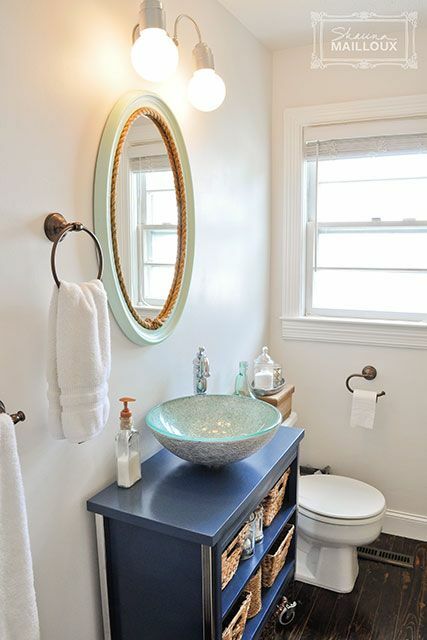 If you are looking to really revitalize your bathroom, have you considered redoing your entire vanity? Not for the faint of heart, but I think we can all agree. This vanity is beautiful! 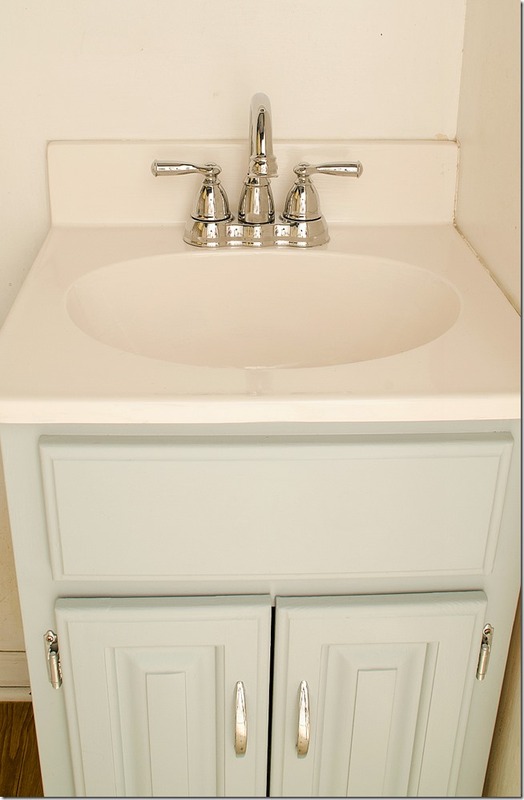 If it is a master bathroom you are redoing, go for this adorable dual sink! A bit easier since the design is very simple, but what makes it great are the decorations around it, bringing it to life! Again, this is one of those projects I sighed at how difficult it would be, but give the directions a look over and you will find it is so much more simple than it sounds. This project is perfect for those looking to combine multiple elements or add a nice touch of nature. 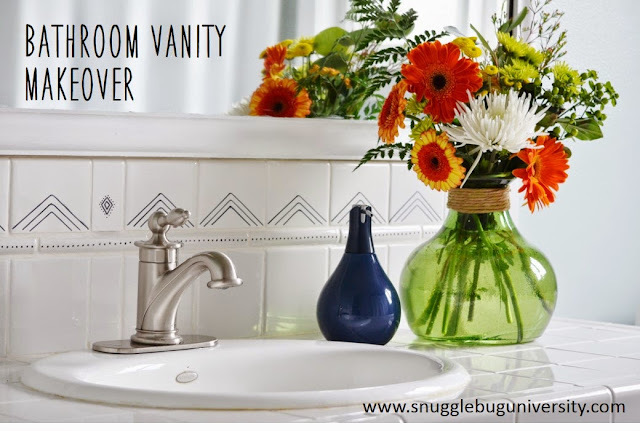 It does both beautifully and can turn your bathroom into an oasis! Who doesn’t love a piece that serves multiple purposes? 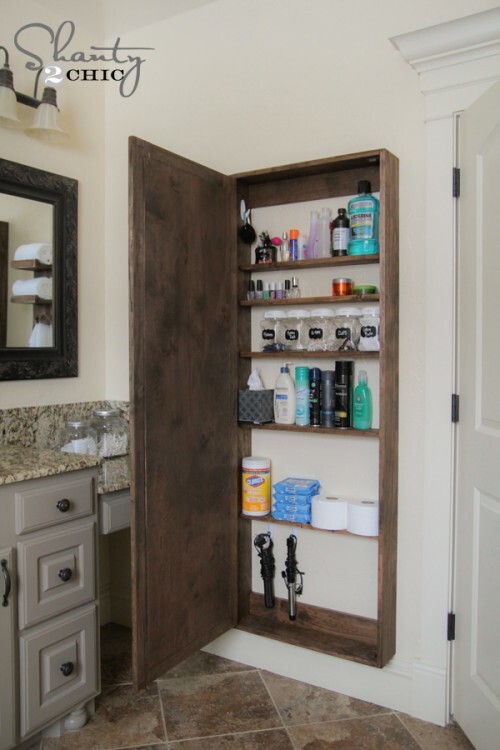 Incorporate tons of storage and a full-length mirror in any space! This is keeping with the same idea from number 14, but a lot less work and perfect for those smaller spaces. I love this for a kids bathroom! It is so creative and you can incorporate the idea for multiple designs, like a princess crown or sports car. This is for the adult that cannot seem to keep water in the tub or shower. 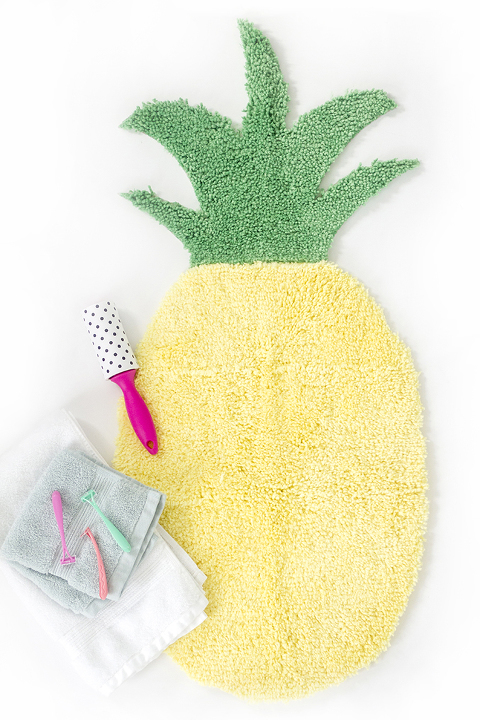 A towel rug is super absorbent, inexpensive, and easy! 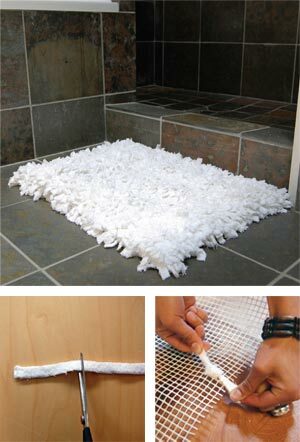 If you are not fighting to keep the water in the tub, go for a fancy bathmat, like a cork mat! It is so pretty, nonslip, and just feels nice under your feet! See more steam-cleaning gadgets here. I have two things in every room of my home, a plant and a candle. They add life, fresh scents, and beautiful pops of color. So the idea of incorporating a plant that will thrive in steamy bathrooms gave me life! That other item my home cannot live without? Lots of candles means I have a ton of candle holders. I can send them to be recycled, or I can recycle them myself! Perfect for those smaller bathroom items, like Q-tips and bobby pins. This one is more for the organization but it is a pretty DIY as well. 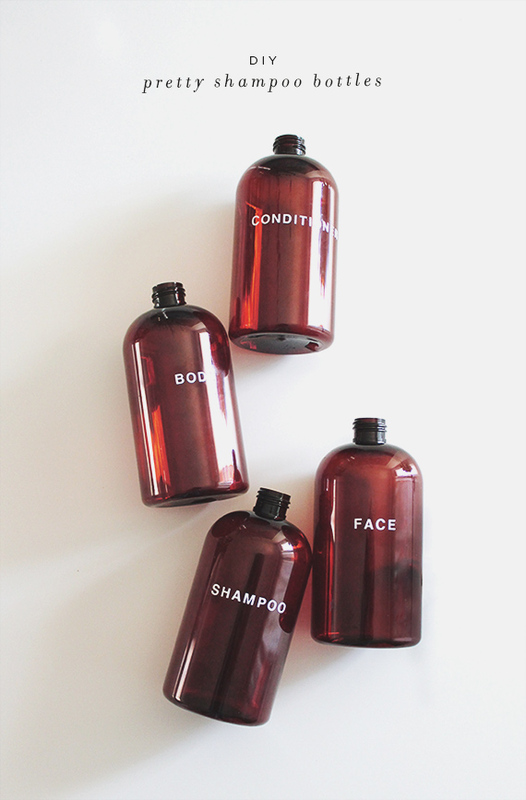 I use this to help manage my shampoo bottle usage. If I don’t I get carried away, and next thing I know, my various bathroom products have taken over the entire shower. Also check out the tankless heater for your bathroom to save up some space. Did you enjoy the list? DIYing your bathroom gives you the flexibility to personalize on a budget and constantly reinvent your personal space! Let us know what you think in the comments and share it with a friend who would find this useful!